Physics and astronomy professor and ET researcher. ...The fact that they're here shows us that they found a way." 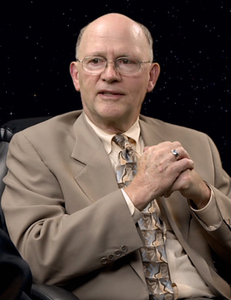 Jack Kasher, Ph.D., is a professor of physics and astronomy at the University of Nebraska at Omaha (UNO) and an extraterrestrial researcher. In 1991, Kasher was hired to research and analyze UFO video footage taken by NASA’s Discovery Space Shuttle Mission STS-48, verifying ET phenomenon.